The holidays approach. This also means my birthday is soon to arrive. In fact, it comes the same day as St. Nick. I’m one of those Christmas babies who get gifts but once a year. And though I lamented that fact as a child, now in my fourth decade of life, I realize this collision of Christmas and birthday can, maybe, help me get what I really want this year. Because, while “double” the presents for a Christmas Birthday wasn’t realistic, I did tend to get a more valuable “combo” gift on occasion. And that’s what I’m counting on now. In the middle of the night recently, while I listened to the restless sounds of a sick child trying to sleep with a bellyache, I realized my wish list had nothing to do with things. What I actually want is to foster a world where generosity of spirit is evident in the actions we take to support each other. So, that’s what I’m asking for this year. For anyone looking to show me love, for either Christmas, my birthday, or both, here’s what I want: Pick one (or more) ideas from the list below. Do the thing and tell me about it.Or just write “Done!” in the comments–it’ll feel good, I promise! If you’re tempted to think this wish list is selfless or somehow noble, don’t. I get so much joy from knowing I might have motivated a small act of kindness, I’m definitely the biggest winner here. Of course, you’re probably already doing a lot of good things, and I’d love to hear those, too. This is just my personal wish list of actions I like to do and see. And please, if there’s something I can do for you that supports your spirit, let me know that, too. I want what we all want, a little extra love. But I don’t want it for me, I want it for us. Write two co-workers an email. Tell them why they’re awesome and why they matter to you. Call your mother (or a female mentor you love). Participate in Just Another Blog From a Woman’s Online Book Club. Subscribe to Erin Burton’s blog, Unbound Roots. Buy a photo, card or calendar from Traci York. Donate the equivalent of a couple of lattes to a local animal shelter. Find a social justice or other organization advancing community across cultures and donate time or money. I like Demos and Sweet Potato Comfort Pie. Text a friend you haven’t talked to in a while, tell him or her you’re thinking of them. Subscribe to Shaun Kellet’s blog, Clockwork Clouds. Make Amish Friendship bread. Share it. Introduce yourself to a neighbor you don’t know. Don’t just smile, reach out your hand and say hello and tell him or her your real name. Give an extra generous tip to someone who served you a meal or painted your toes. Tell your boss one good thing you’ve noticed he or she has been doing lately, and why you appreciate it. Support a woman-owned business. I like that Kelli wants to educate people about safe beauty products and did a ton of research before she launched her company. Jessica started her business to carve out something special for herself, and wants us all to make the most of our memories. Donate the equivalent of a lunch at a nice restaurant to a veteran’s organization. Seek out an opposing viewpoint on a topic you feel strongly about. Consider the argument and find two good, thoughtful points the author or commentator made. You do not have to change your mind about the topic. You just have to listen. Donate an amount equivalent to a new pair of pants to an organization that encourages hard work, perseverance, and leadership skills. I like The Cookie Cart. Volunteer anywhere for any amount of time. Bring a friend. Buy a toy for Toys For Tots. Go into a local business owned by someone in your community and actually buy something. If you’re a blogger, tell someone in your “real” life about a blog post you just read and why you liked it. Smile at a (non-creepy) stranger and allow your eye contact to last a second longer than you’re used to. Ask someone how they’re doing. Not as a greeting, but because you sincerely want to know how they’re doing. Follow and engage with anyone in my Community (see sidebar). Ban cell phones from the dinner table. Forever. Make your own list of wishes. See what happens. Merry Christmas and Happy Holidays to all of you. I’m so glad you’re here. Your turn: What can I do to support your wish list? I’m so glad you liked it! I feel so lucky. I love that you have a tradition to donate the funds you would have spent on cards to charity that grabbed your attention. I have no doubt you’ve probably done a lot of the list already! You’re a generous soul and I’m so grateful for the gift of you. Thank you, Brigid! I already feel like I’ve received so much joy from the comments already. This might be the best birthday/Christmas ever. I love this post, and you are exquisite. Your kindness, thoughtfulness, gratefulness, and beauty radiates from your posts. Thank you so very much for including me in your goodness. I only hope I can reciprocate all that you have already done for me. I will respond to this post at the end of the day with the items on your list I have crossed off. Thank you, Angela! Thank you for including me in your wonderful and inspiring list. You are so welcome, April! I’ve learned so much from your posts about history. Your books offer a lot to the world and I’m so glad you’re out there sharing them with us. Oh my gosh, this is a great idea. First, I’m wishing you a bit early HAPPY BIRTHDAY and Merry Christmas. Your name is perfect for your birth date! Second, thank you for including me in your #5. My heart tilted a bit when I read that. I’ve bought and read all of Anneli’s books. She’s a great writer, AND editor. I’m hiring her for my next book. 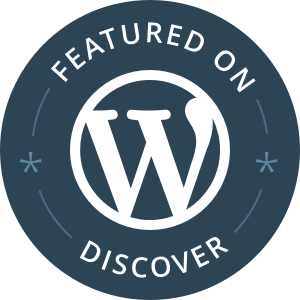 I just followed Clockwork Cloud – wonderful blog that I’d missed so far, so thanks for the intro. We never allow cell phones at the dinner table. I just e-mailed a (sick) friend on the other side of the country to let her know I’m thinking of her. I’m off for a walk in the cold November air to sigh out a big “I’m so glad I’m here today.” Because I AM. And I’m thankful for your list, which is just BEAUTIFUL. Hooray! Thank you for the birthday/holiday wishes! I think you’ll love Shaun’s blog. He has a very authentic voice. Reaching out to a friend is so simple, and I still forget sometimes. I’m so glad you sent your friend a note. And also, I can’t help but smile at the idea of your walk. Thank you so much for sharing all that goodness with me! Well I read your post 7 hours ago but I had to wait till now to give you your presents! I texted a friend and we ended up having a texting conversation that kept going so long it turned into a phone call. Now admittedly I had the stuff airway sorted out to take to the local St. Vincent dePaul Society but I made the time to bring my donations to them today. And finally I kept longer than usual eye contact with a smile with a stranger. With luck I won’t be talked about this evening as that creepy stranger. Happy birthday, Merry Christmas, and a spare! I’m certain you’re not the “creepy” stranger. And I LOVE that your texts turned into a call. I’m not kidding, I read your comment in the airport waiting to board a plane and I got tears in my eyes. These lovely comments from kind people are truly the best gifts ever. THANK YOU! What a nice thing to say. I’m not sure when or even if I’ll have a book out there, but it means a lot to me that you believe in me! Best present ever. I was surprised to see I’ve done many of these already! This is a great idea, Angela! I’m so glad! Thank you for reading and for spreading goodness. It all counts and I’m so grateful! Wow! Thank you for the mention! I’m honored and humbled to be included in this incredible piece. Love this and love you! I’m so glad you feel the love, because that’s the best gift I could get and exactly what I want. 🙂 THANK YOU for being you. These are fantastic additions, Tracy! I’m going to do all three! THANK YOU for sharing and for all that you do. I don’t want anymore things. There are so many things of the heart that I want, but stuff is no where on the list. I’m so glad you like the idea and I’d truly be honored if you decided to make your own list. We have so much to give to others, it almost seems a shame to limit it to “things.” Though I’m not saying traditional gift giving is bad, I do think we can evolve our thinking to try new things too! I love your generous Christmas list! I’ll check out our friends’ books. I had no idea how many were published authors! Wow! Thanks so much! My full manuscript is out with two agents so I’m saying my prayers…Makes me nervous just typing the words. Ha! Susie! I’m so happy to hear that! I’m excited for you. I won’t say “good luck” because really it’s about all your hard work. Not that we can’t use a little good luck now and again, but I know when your novel is published, it’ll be because you gave your heart to it. This is a great list. I love all the supportive stuff and helping charities and small businesses. I think the banning mobiles from dinner tables is a great idea!! Hi Rachel! Thank you for reading. So many simple actions can add up to a big difference! Today, I talked with a fellow who I’ve seen at the grocery store many times. I held his eyes for a little longer, and noticed how genuine his smile is when he greets me and others. With so much yuckiness in the world, even a moment of sincere connection is truly precious. Thank you again for reading! This is awesome! Thanks for supporting our amazing community of women!! Will have to look at #2! I am often blown away by the contributions of women throughout history. Many of whom have been unnoticed and unsung. I think those things are changing now, but the more we can bring those contributions to light–from the past and the present–the more vibrant I believe the world can be. THANK YOU for reading and adding your thought! My parents even asked if i wanted to change my birthday! There were a few times when I considered it–but in the end, a big bang birthday once a year isn’t such a bad thing, right? I only wish I’d had the idea to give more to others than worry about myself sooner. Maybe more good things could have come of it. Thanks for reading! We holiday birthdays must stick together! That’s a great idea. I love it. I love this wish list! Your heart is one of gold. I’m definitely going to tick off a couple new ones, but I have to say that one of my favorites you listed is one that I already do: no phones at the dinner table. It was a rule when I lived at home with my parents, it’s a rule my husband and I follow now, and it will be a rule for our future children. Time together is priceless, and something as simple as putting your phone away for a half hour and listening to your loved ones creates a space where all that matters is the here and now. I love how you put that–“creates a space where all that matters is here and now.” What a beautiful way of saying something powerful. I’m so glad it’s already a practice for you. Even when we’re out with friends and colleagues, I think this is a great thing to practice. We have this beautiful moment we get to share together, and there are enough distractions around, why now celebrate the here and now? Thanks again, Becca. I love your comment. This is such a great idea. I love all of your suggestions. A simple act of kindness can go so much further than you think. I run an organization in my town for networking. Our December meeting is always about giving back. This year we are getting together goods for a local animal shelter. That’s fantastic! Getting a group together like this does so much good, I think. I had a lovely co-worker (and still a friend) who was absolutely fantastic and rallying people together to volunteer. The benefit of doing good work together is exponential to the effort, I think. 1+1=3. Thank you for reading and sharing your organizations work! Great idea! A lot of these I have already done. And def no phones at any meal! Today; I smiled at two strangers. I donated money to a club who were collecting donations in town. I read aloud to my husband a very funny blog post from hotmessmemoir about the man cold (he didn’t laugh). I think I might ring my Mam later! Awesome! I’m sure your Mam would love to hear from you. You’ve already done some amazing thing (and no doubt didn’t need my help to remind you). But, it’s wonderful to know about all the cool things you’re doing. It makes my heart happy. Little things make a bit impact! Thank you so much for reading and for all you do for others. You really are awesome! I love your christmas list Angela. You are the sweetest. Oh wow! I absolutely LOVE this! It was not at all what I was expecting! I will be completing as many of these as I can and maybe making a list of my own! Absolutely wonderful! That is a great way to give. 🙂 I’m so glad you like the post and shared your thoughts. You’ve got it! This is a great idea! I’ll have done me a few of these by the end of the week! Thank you, Claire! I am sure your neighbors will love anything you do for them. The spirit of giving really is much bigger than I ever realized. It truly is exponential and I’m seeing all the love in each of these awesome comments. I’m so grateful. Wow! Not only is this post awesome, so are the comments. We live in a world filled with negativity and so much busyness. Sharing the small spirit-lifting actions will bring joy to others, and they can then be passed on. One action at a time. Sharing a smile that comes from the heart can truly make a difference. I like to compliment random women when I’m shopping: “What a pretty scarf.”; “You have such beautiful hair.” I know, it sounds “creepy” but I receive radiant smiles in return. I really like it when I can make a clerk laugh at a silly comment. Tis’ the season to be reminded of giving. What a joy to carry it throughout the year. Be a blessing to others, and you will be blessed. Thank you for all you do! You’re brilliant and funny and I can’t wait until a certain young protagonist makes it into the world. This was not exactly on your list; however, it fits right in. I was shopping for those last minute items at the grocery store on December 24. The woman in front of me in line was taking forever to pay. She seemed to be trying every bank/credit card to cover the payment of her groceries. I ask if she was short–yes. I covered the remainder of her bill. She was very appreciative, and I was happy to help. WONDERFUL! Thank you so much for sharing this. It means a lot to me (and to the world) that you’d offer such a kindness.